In other words, a bibliography containing web documents is called a webliogrophy. To better understand a webliography, we must first understand what a bibliography is. Bibliography is a word originated from the Greek language which literally means book writing. In practice, it is the list of books and their information about their authors, editions, date of publication etc. It is a critical analysis of a book. Apart from critical analysis, it also gives states a book’s title, its author, date of publication, publisher and all other minor details. Our project, as mentioned above, was about creating a webliography of Electrical Engineering resources. We were assigned to create a bibliography on web about electrical engineering resources. We had to state basic information about books of various subjects of electrical engineering. As the report proceeds, we are going to elucidate the steps we took to complete our project and the resources we put in and many more details. Electrical engineering is a very vast field. It is further divided into many subfields. However, we chose to divide it into three main categories: electronics engineering, telecommunication engineering and information and communication systems engineering. Many years ago, and even in some places nowadays, no distinction is made between electrical and electronic engineering. With the passage of time and the increase in the technical know-how about engineering and their applications, a fine line was divided between electrical and electronics engineering. 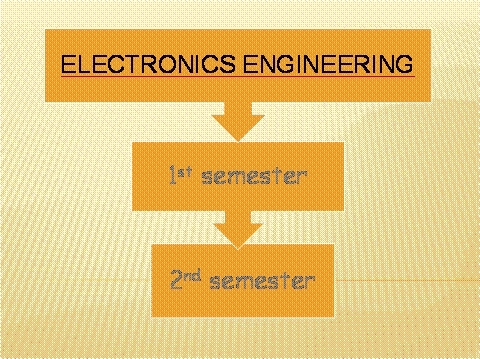 Electrical engineering is considered to deal with the problems associated with large-scale electrical systems such as power transmission and motor control, whereas electronic engineering deals with the study of small-scale electronic systems including computers and integrated circuits. Alternatively, electrical engineers are usually concerned with using electricity to transmit energy, while electronic engineers are concerned with using electricity to transmit information. 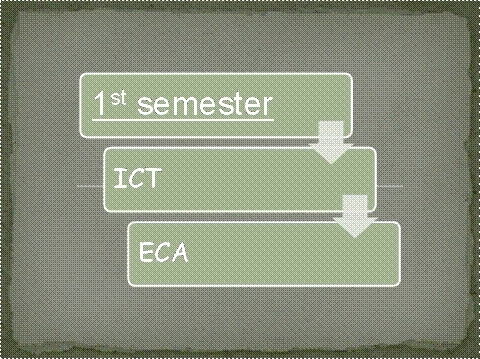 Information and communication systems engineering deals with objects such as Optical Fiber, Wireless, Satellite, and Telecommunication systems, the Internet, interactive TV; Design of electronic systems using Microwave and Optical Fiber Links; encoding for transmission and storage in communication systems different types of data (e.g. speech, video, etc. ); application of project management and systems engineering techniques for the development of communication systems; design of computer networks, and development of software that runs on networks and modeling techniques for electrical systems. As telecom, information and communication systems, and electronics engineering are like siblings, therefore, over a four-year undergraduate program, there are many subjects which are taught in all three engineering fields. For example, calculus, physics and other basic subjects exist in the curriculum of all the three above-mentioned fields. Information and communication systems engineering and electronics engineering are similar to such an extent that all the subjects of the first two semesters are same. Furthermore, there are also subjects in senior years such as numeric analysis, digital logic design, programming are same in these fields. When we will click on anyone of the links, say 1st semester, another page will be opened, listing all the subjects of that particular semester. the above-mentioned links are of websites related to multivariable calculus. Some of them provide basic information and description about this subject. On the other hand, some websites are specially for it and help in providing advanced information, such as giving solutions to its problems. Apart from the links, we provided names and brief introductions of books particularly for this subject. Other minor details such as author’s name, date of publishing, number of edition and number of pages etc was also given. Ranging from students to teachers and administration, it can be used by many people for different purposes. For students, it is easy to use and very easily accessible. It is informative and effective. It is especially designed for undergraduate students to enable them to know about the course curriculum of their particular fields. For example, students of electronics engineering would not have to search all the books relating to their needed subject from various search engines, rather our provide accurate and precise information needed. During studies, it would not waste students’ time and provide the correct books for reference. As far as teachers are concerned, it provides different books to make their teaching effective and efficient. They will have ample and accurate books to refer to their students about specific subjects. It can also come to use for the upper-level administration. The newly developed universities or universities starting courses for the first time can follow the pattern of the curriculum by taking help from our website. Moreover, it can also be useful for day to day administrative purposes e.g. preventing a timetable clash if a university offers more than one fields of electrical engineering. Suppose a most common subject, Pakistan studies has to be set in the semester plan of telecom and electronics engineering without resulting in a timetable clash. The administration, after consulting our website can put it in subsequent semesters of the respective fields. Last, but not the least, the administration can have a clear view of all the subjects taught and can therefore easily add or omit a particular subject for a specific semester according to their own will. Summarizing our project, we got to know about webliography and its uses. We also became aware of different courses and subjects of our field. Apart from that, we became aware of different books available for the subjects. We also got a chance to utilize our potentials and create a full-fledged website. We understood how our work can be helpful to the prospective electrical engineers as well as current ones. Lastly, all the information was carried out by the internet. We tried our level best and put in our maximum effort to put our own ideas and creativity to the utmost use. For the very same reason, we already have mentioned the sites which we visited for information and the university whose curriculum we took as an example. We hope our project, although created in a very short span of time, will come in handy to our fellow students, teachers and all others directly or indirectly involved in electrical engineering and in its further classified fields.